Thank you for your interest in the boards and committees appointed by the St. Johns County Board of County Commissioners. Service on a board or committee provides residents with an opportunity to help shape the future of St. Johns County by addressing the important issues that we face both now and for the future. The Commissioners deeply appreciate the commitment of those that give their time to help to ensure that St. Johns County continues to be a top-tier place to visit, live, work, and play. 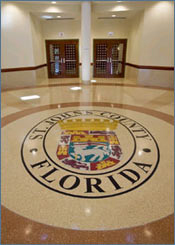 Each appointed board / committee has a specific mission and is governed by St. Johns County and State of Florida statutes. Applications are available online here, or at the County Administration Building, 500 San Sebastian View, St. Augustine, Florida 32084. List of appointed boards and committees with a brief statement of their purpose. St. Johns County is currently accepting applications for these volunteer Board and Committee vacancies. 2019 vacancies by board and month. Rules governing the operation of St. Johns County appointed boards. Forms and applications required for appointment.